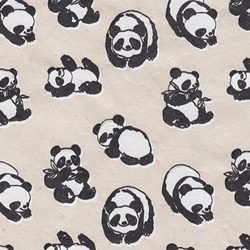 This adorable paper features pandas eating bamboo and tumbling. Printed on lokta sheets that measure 20x30". Perfect for book making, scrapbooking, collage, card making, gift wrap, and all paper arts.